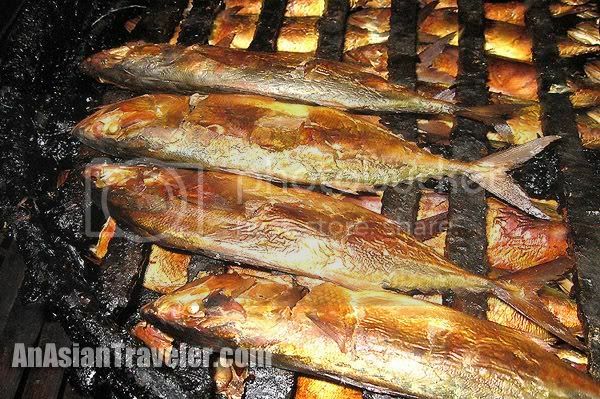 Of course, no trip to Calbayog is complete without sampling the famous tinapa. And also you might want to consider taking home some of these. It's a must buy for all visitors. Calbayog has a decent range of casual restaurants to accommodate your taste buds. We had the chance to try quite a few restaurants such as Isla Cafe, Carlo's N' Carmelos and Cafe Elsa. But for me, Kaonan Kamayan sa Karayman is by far one of the best. 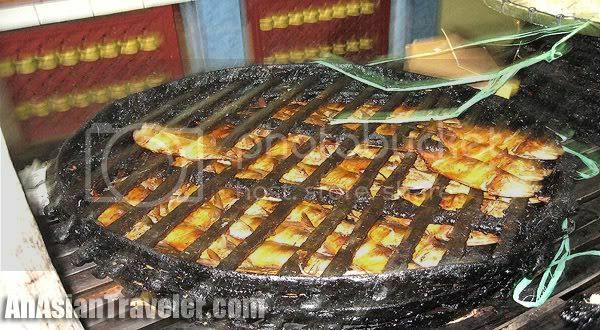 It offers a wide variety of amazing local dishes. 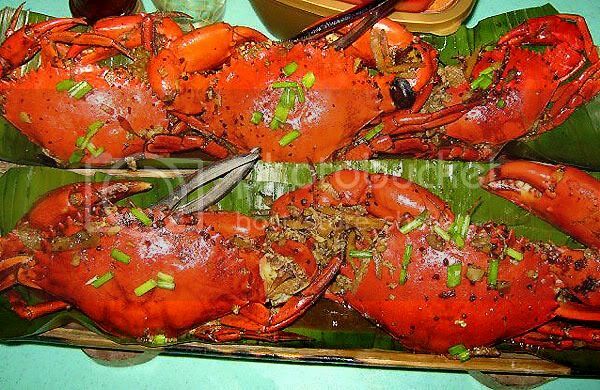 Sweet chili crabs and crispy pata are just a few of the menus to look forward to. It is located at Brgy. Carayman, which takes about 10-15 minutes from the city center. 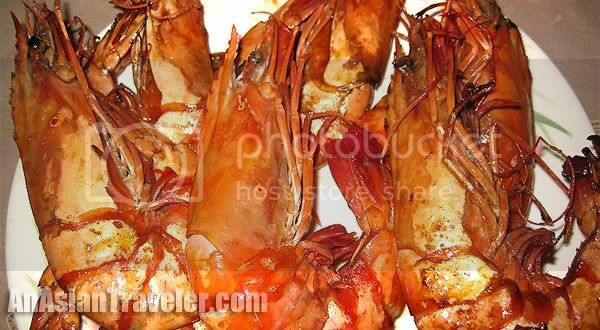 Since Calbayog is a coastal town - crabs, shrimps, fish and scallops are abundant here. If you're a seafood lover, you'll definitely love this place. 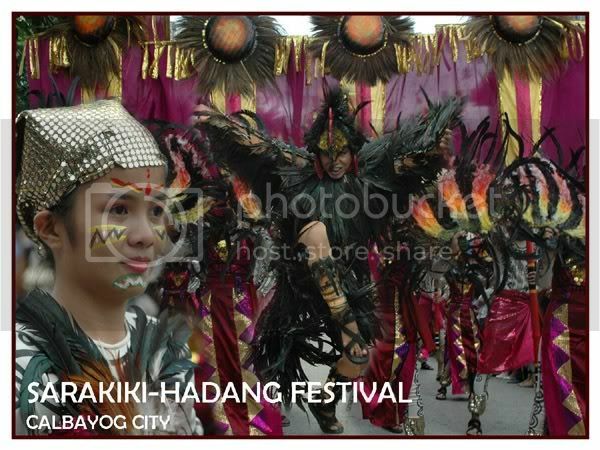 For a festive celebration, you can take part in the yearly Sarakiki-Hadang Festival celebrated on Sept. 1-8. With Christmas fast approaching, you're maybe thinking where to spend if ever you'll be visiting the city. 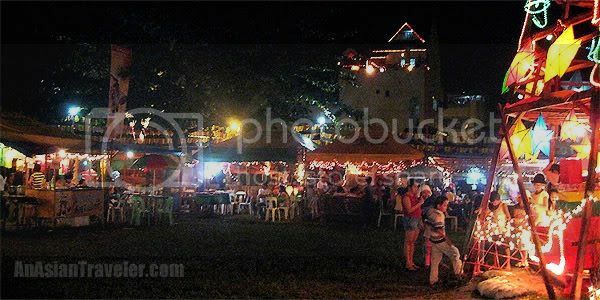 Every year, the Christmas holiday season in Calbayog is celebrated with food stalls set up at Sacred Heart Plaza just across the cathedral and city hall. You'll find lots of stalls offering a variety of Filipino grilled food to be sampled while soaking up the lively ambiance. Here are some photos I took 3 years ago. I just want to mention this. 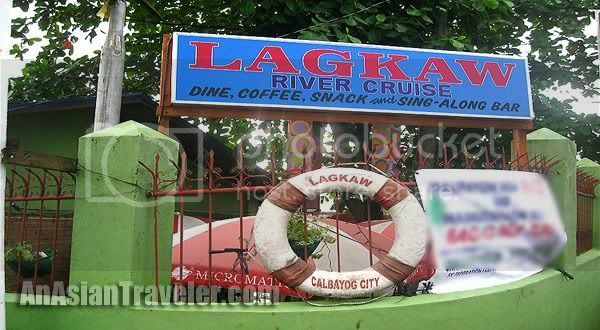 On one of our trips to Calbayog, we got to explore the city for a bit and while trying to find an interesting photo op we found this signboard that says, "Lagkaw River Cruise, dine, coffee, snack and sing-along bar". 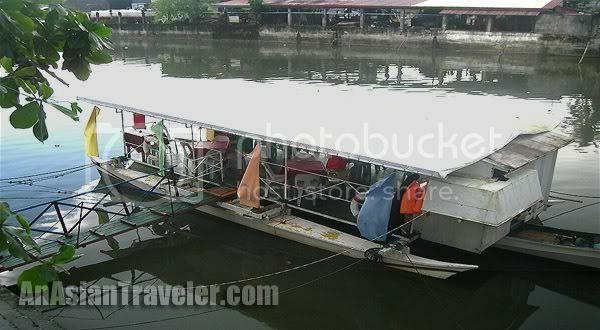 In our observation, it looks more like a cheap floating restaurant bar rather than a river cruise. hehe Does anyone know about this? Finding accommodation in Calbayog is easy. In recent years, budget and tourist class hotels have started popping up like mushrooms. 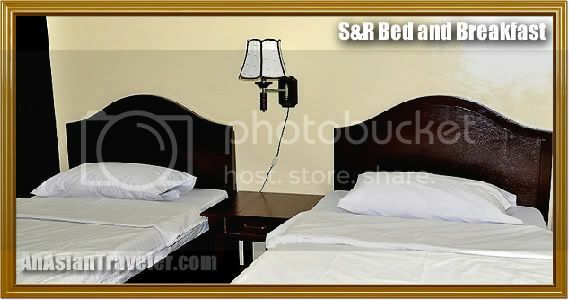 If you want to indulge in the simple pleasures of a B&B experience, consider a stay-cation at S&R Bed and Breakfast. Each room has nice bathrooms and private verandas perfect for your clear night stargazing or that early morning cup of coffee. 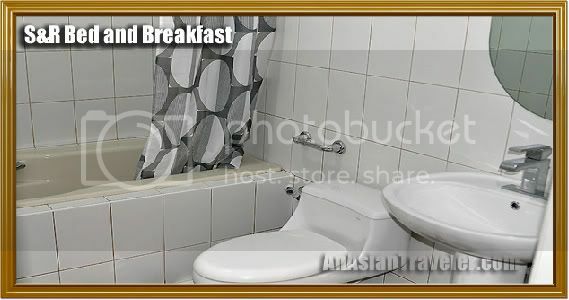 Plus set meal breakfast is included in the room rate. This B&B might open first week of January 2012 (soft opening stage). It is located at Brgy. San Policarpio, Calbayog City. For inquiries and reservations please email at [srbedbreakfast@anasiantraveler.com].